You'll be £19.99 closer to your next £10.00 credit when you purchase Lessons in Imperial Rule. What's this? Order within the next 3 hours, 53 minutes to get your order processed the next working day! 'Don't be misled into believing that the camel is an evil brute without guts, who lies down and dies just to spite you. I know a lot about the camel, and I know him to be a lion-hearted beast who will not lie down to die until he knows he is dying'. 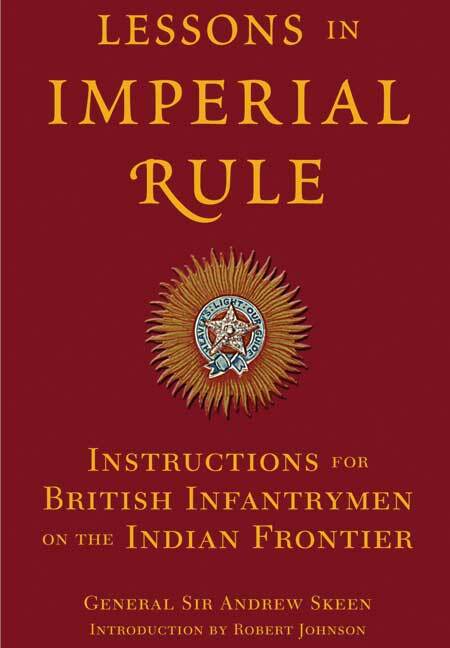 A delightful collection of guidelines for British troops based in India, Lessons in Imperial Rule was first published in the early 1900s. It was addressed to the junior officer serving Infantry battalions who faced more than 80 years of armed peace and fierce war along the North-West frontier. Despite the later introduction of armoured cars, light tanks and aircraft, Skeen's work has lost none of its value and was recently reissued by the Pakistani Army. The lessons explained include the various aspects of work in establishing new camps, securing perimeters, moving platoons, setting up watching posts, methods of foraging and demolition, and emergency occupation of villages. It is not just the military reader who will find this book interesting but anyone who likes or needs to deal with complex problems.